Hamilton May has the pleasure to present you a luxurious three bedroom apartment located in prestigious Biały Kamień (Eko-Park) development. Hamilton May presents a fully furnished apartment available for rent, located in a prestigious residential development. Hamilton May is pleased to present a rental offer of bright, elegant apartment located within the Eko-Park apartment complex. Hamilton May presents a comfortable apartment available for rent. Hamilton May is pleased to present a comfortable, two bedroom apartment - ideal for a family with children, or a couple. Hamilton May presents a comfortable apartment located in a prestigious investment in Mokotów. 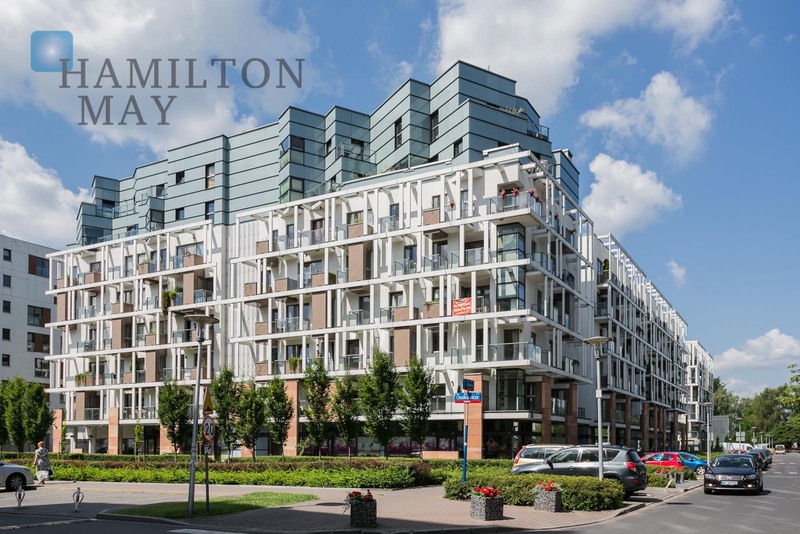 Hamilton May presents a two bedroom apartment with a beautiful terrace in the Biały Kamień investment (Eko-Park), situated right next to the Pole Mokotowskie park. Hamilton May presents a comfortable apartment offered for rent. Hamilton May presents a spacious, two bedroom apartment in the Eko-Park investment. Hamilton May presents a modern apartment located in a beautifully arranged investment with its own pond and water cascade. Eko-Park is a luxurious residential complex located in the Mokotow district, comprising of 14 individual buildings, with various design structure located on an area of approximately 19 ha.